Book a FREE Quote Today for your roof painting work. The blazing hot is burning your soul to the core, there is no shade in sight and the surface you’re kneeling on is to hot too touch. The air is still, offering no breeze to cool the skin. This, and many similar scenarios are what we imagine when we think of taking on the vertigo inducing task of roof painting. While the reality is not as stark and hyper dramatized, everything you just read is a very real factor and taking on roof painting as an amateur isn’t the best of ideas. There are professional painters that do such things on a daily basis and BJA Painting Services is an old hand at roof painting. We’re the mountain goats of the painting world. If your roof is starting to look a bit faded from the elements, starting to loose it’s watertight integrity or if you’d simply like a new colour to match the house painting, we are here to help. From shingled to steel roofs, BJA Painting Services has the right equipment and know how to get your roof surface looking like new again, not to mention resistant to the elements that batter it every day. 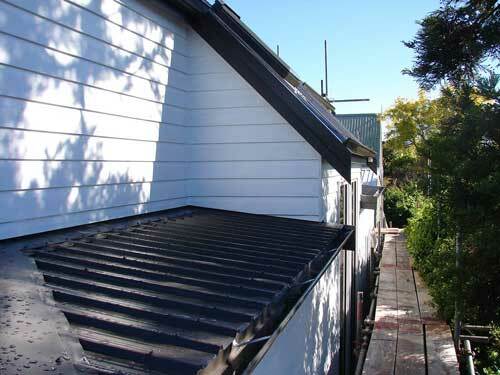 We understand that roof painting is a serious deal; the paint we apply to your roof has to withstand the blazing hot sun in summer for hours on end, the driving rains of winter and the sticky humid days that Auckland is notorious for. 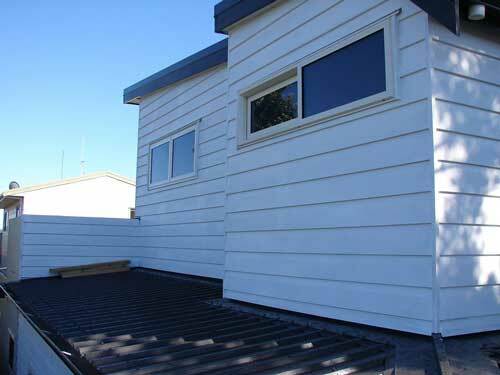 Being an Auckland Roof Painter has taught us a thing or two about professional roof painting and after 25 years of painting roofs, we are confident professionals. From preparing the roof surface to accept new paint and painting the roof itself, no matter what matter it consists of, we can provide a quality finish. 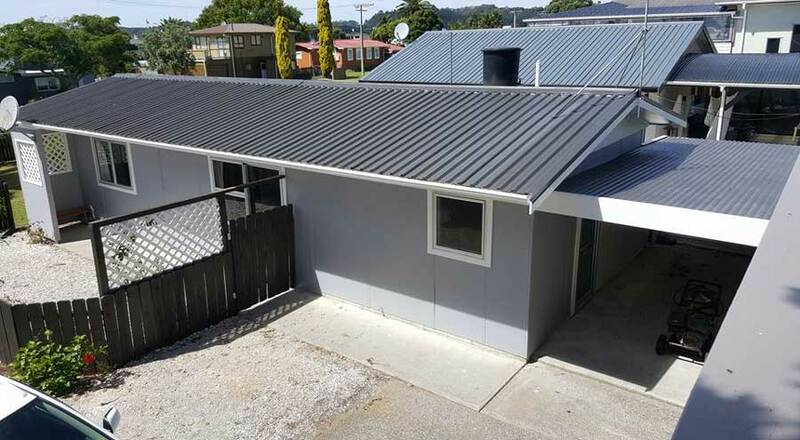 We only use the best roof paints designed for New Zealand conditions that have been tested and can withstand whatever our weather will throw at it. With the training and knowledge to paint roofs safely, we can transform a dangerous situation into a safe working environment that OSH would be proud of. If your roof is unsuitable to walk on safely, we can organize scaffolding to provide a safe and convenient way to paint even the most unhospitable of roofs. You will be amazed and surprised at the roofs we have managed to paint in the past and with each roof we complete, we only get better at it. If you are looking for a complete roof painting solution for your home or commercial business, look no further than BJA Painting Services. I Need My Roof Painted – How Do I Begin? To get your roof painting project underway, whether it’s a residential or commercial roof, get in touch to organize a free quote. We will provide a competitive price for a professional finish using only the best roof paints to ensure a lasting finish. If scaffolding or any other special requirements are needed we will let you know in the first consultation of your roof. Roof painting is weather dependent and best done in the warmer months so make sure you book in early to ensure you get your roof painted before the next winter rolls around. Hire your team of painting experts today!